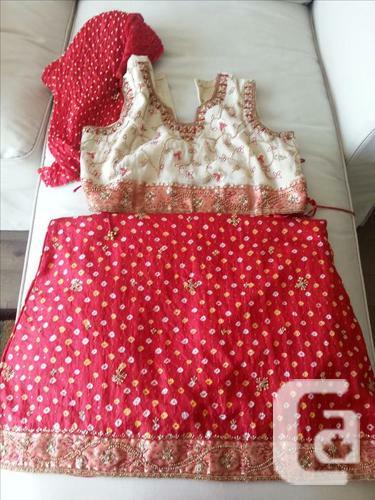 Lehenga choli for sale. M size. Can be altered. Used once for 3 hours. Good condition and dry cleaned. We have huge collection of indian fancy sarees,indian pakistani dresses,arabic dresses Î¼ch more. We make Pakistani and Indian dresses at reasonable rates. For more info contact us.